She is really starting to pop out now! So cute! 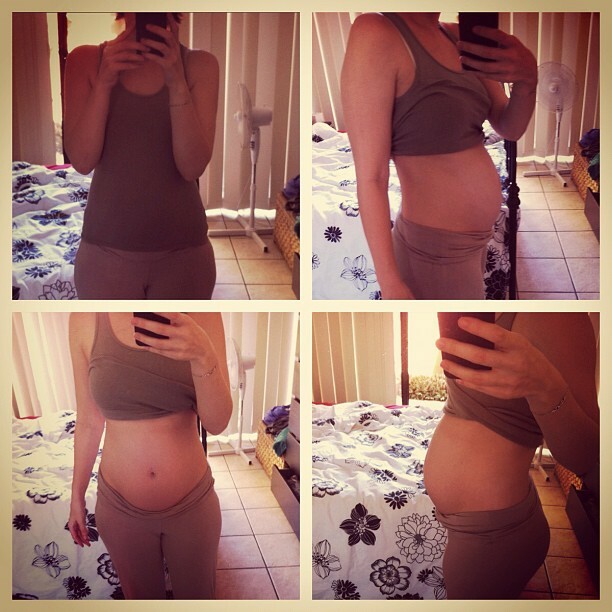 Loving watching your pregnancy progress. Nice to hear Im not the only one who is hot, uncomfy and in need of naps. Nesting is so much fun! Our house it spotless... I cant help but throw out all the junk! Hubby is loving it! I wish I was nesting! Thankfully the heat has settled here for a while so the heat isn't bothering me but I am so tired that I can't be arsed cleaning or tidying ANYTHING once I'm home from work! That was one cute baby bump! And hey, at least you have some heat up there - frickin' freezing down here in DubVegas! Congratulations! And very cute title belly!